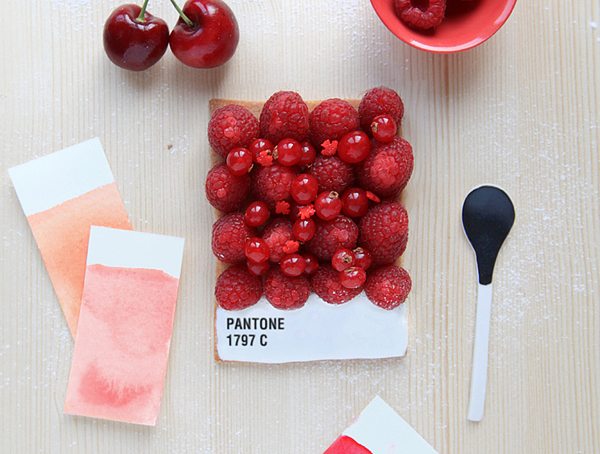 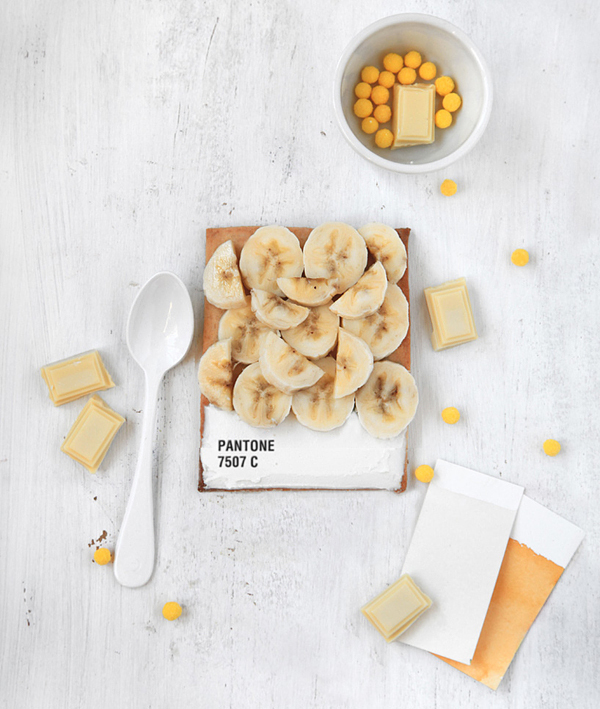 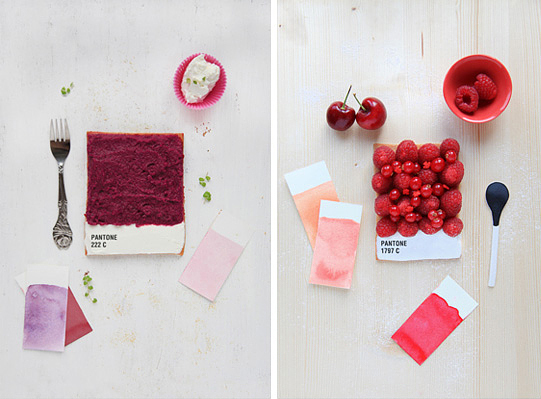 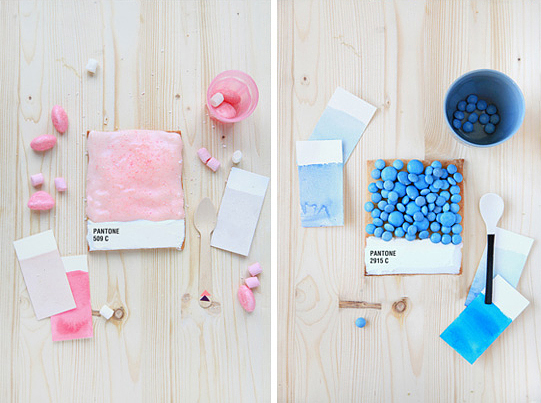 French food designer Emilie de Griottes for a special feature in french culinary magazine Fricote developed dessert tarts that recreate Pantone colour swatches. 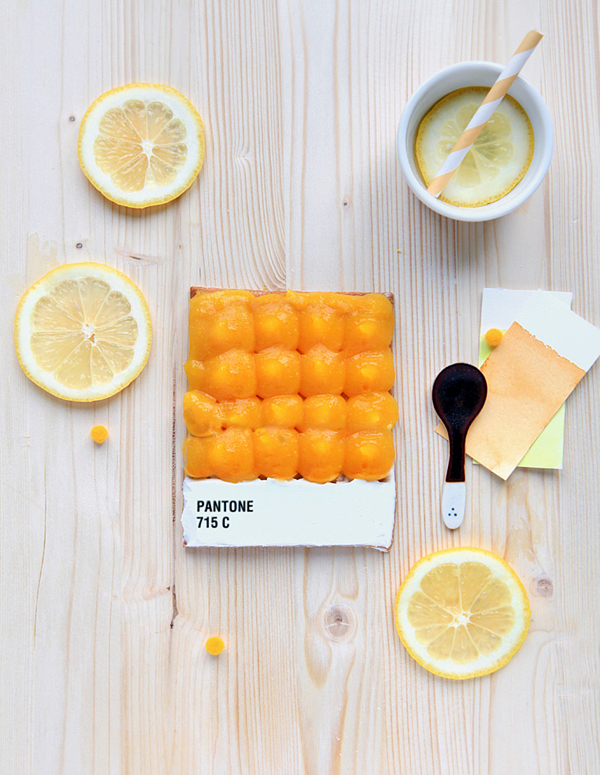 Berries, carrots, lemon, candies, and other foods are arranged upon a tart base, whose bottom is iced in white and marked with the pantone colour represented. 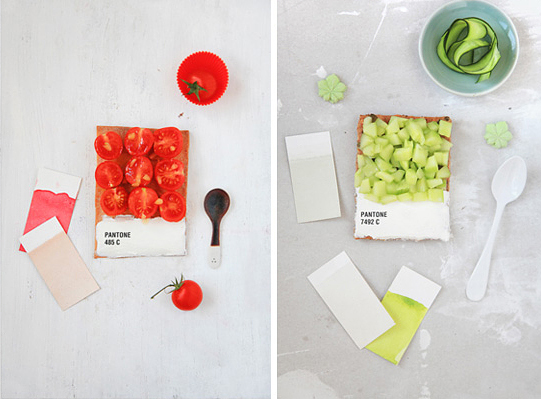 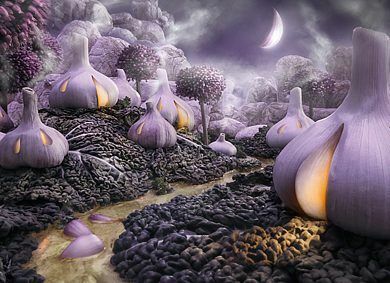 You can find recipes for making the tart in Fricote issue number 6 (2012). 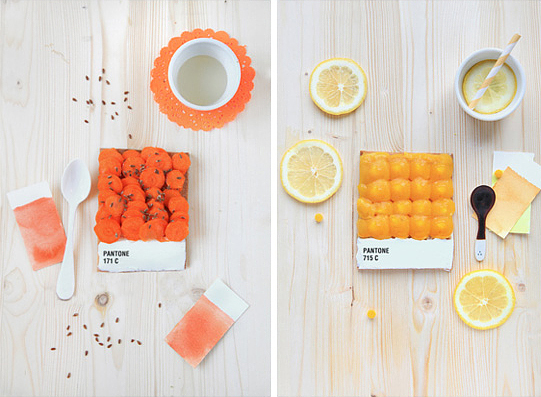 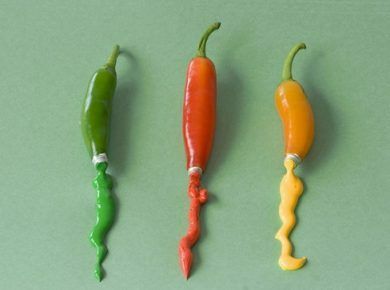 And meanwhile take a look at this collection of desert tarts.